Pachinko is a wonderfully immersive novel that follows multiple perspectives from WWI through to 1989. At the heart of the story is Sunja, a pregnant Korean teenager who accepts an offer of marriage from a Christian pastor and travels to Japan with him. Following a man she barely knows to a hostile country where she has no friends and no home, Sunja’s salvation is just the beginning of her and her family’s story, which expands outwards into various directions. There There follows twelve characters – some related and some not – as their lives converge and collide on one fateful day. Each person is attending the Big Oakland Powwow and as their pasts and dreams are revealed, the narrative’s momentum builds toward a shocking yet inevitable conclusion. This debut novel from Cheyenne and Arapaho writer Tommy Orange was one of the most talked-about books of 2018 and is a stunning work of fiction. In this 1982 classic, Isabel Allende constructs a vibrant and colourful spirit-ridden world, and fills it with all-too-human inhabitants and their problems. The Trueba family’s passions, struggles, and secrets cross three generations and a century of violent change, culminating in a crisis that brings the proud and tyrannical patriarch and his beloved granddaughter to opposite sides of the barricades. Opening with a failed suicide attempt on New Year’s morning 1975, Zadie Smith’s 2000 debut novel follows the lives of two friends – Englishman Archibald Jones and Bangladeshi Samad Iqbal – and their families in London. Smith writes about the immigrant’s experience in a postcolonial world with humour, warmth and piercing insight. White Teeth is beloved by readers around the world and was also the recipient of multiple literary awards. Alexis Wright is one of Australia’s finest writers. Set in the Gulf country of north-western Queensland from where Wright’s people come, Carpentaria is her excellent second novel. This portrait of life in the precariously settled coastal town of Desperance centres on the powerful Phantom family, leader of the Westend Pricklebush people, and its battles with both old Joseph Midnight’s renegade Eastend mob, and the white officials of Uptown and the neighbouring Gurfurrit mine. Yaa Gyasi’s acclaimed debut novel offers an unflinching portrayal of the slave trade and its ongoing consequences. When sisters Effia and Esi are forced into two very different destinies – one is sold into slavery while the other is made a slave trader’s wife – the consequences of their fate will reverberate through the generations that follow. Spanning three continents and seven generations, Homegoing is an intimate, gripping tale. 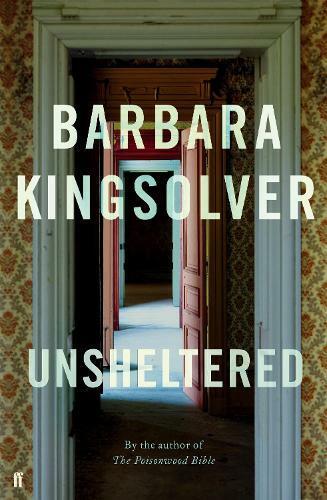 Unsheltered follows two families living in different centuries in Vineland, New Jersey. In 2016, Willa Knox’s life trajectory has been disrupted by family tragedy, a career crisis and the discovery that her home that may crumble at any moment. In 1871, science teacher Thatcher Greenwood is similarly grappling with domestic troubles and financial misfortune. These characters' two families are now only linked thematically, but also by a shared interest in the accomplished naturalist Mary Treat – a real historical figure. Khaled Hosseini’s second novel centres on two women, Mariam and Laila, and their developing friendship over the years. Mariam suffers the stigma of being an illegitimate child, as well as the abuse she faces throughout her marriage. Born a generation later, Laila is comparatively privileged during her youth until she is also forced to accept a marriage proposal from Rasheed, Mariam’s husband. With the passing of time comes Taliban rule over Afghanistan, and with it, the women’s endurance is tested beyond their worst imaginings. This 2002 Pulitzer Prize-winning novel from Jeffrey Eugenides revitalised the American epic. Middlesex is the story of Calliope Stephanides, and three generations of the Greek-American Stephanides family, who travel from a tiny village overlooking Mount Olympus in Asia Minor to Prohibition-era Detroit – witnessing its glory days as the Motor City and the race riots of 1967 before moving out to the tree-lined streets of suburban Grosse Pointe, Michigan. In the bustling streets, overcrowded hospitals and glittering nightclubs of Colombo, five family members find their bonds stretched to breaking point in the aftermath of the Sri Lankan civil war. As the five leave Colombo to travel to an ancient city, the generations collide and long-held prejudices are revealed. For this family, with one foot in the old way of life and one firmly in the new, nothing can ever be what it once was.